We took inspiration from the South to create this comforting Thanksgiving menu. Bring on the collard greens, cornbread and pecan pie! 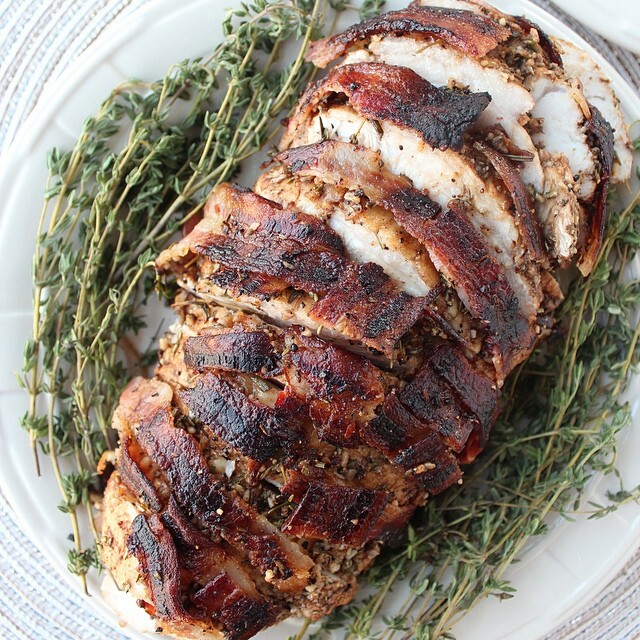 Plus, did we mention there’s a bacon wrapped turkey involved?! 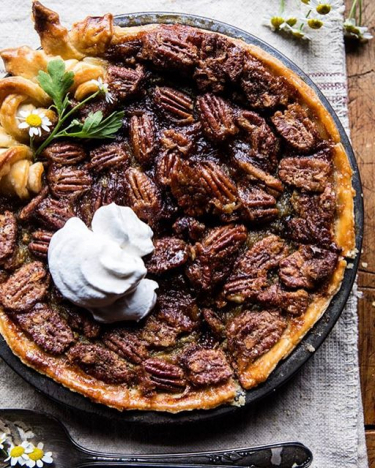 Here's our take on a Southern-inspired Thanksgiving menu featuring amazing recipes from the #feedfeed community! 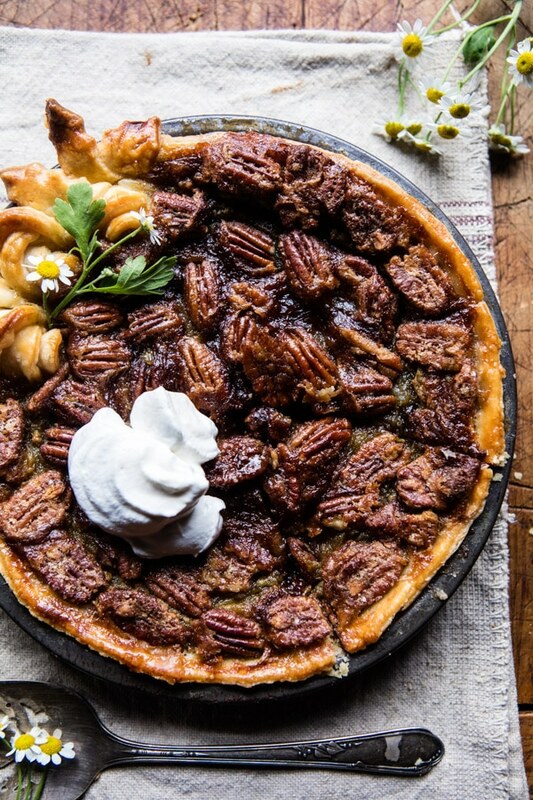 Think classic pecan pie spiked with a healthy dose of bourbon. Feedfeed Tip: Make your buttermilk pie dough up to a week ahead and stash it in the fridge or freezer until you are ready to make the pie Thanksgiving day. Worried about oven space on the big day? 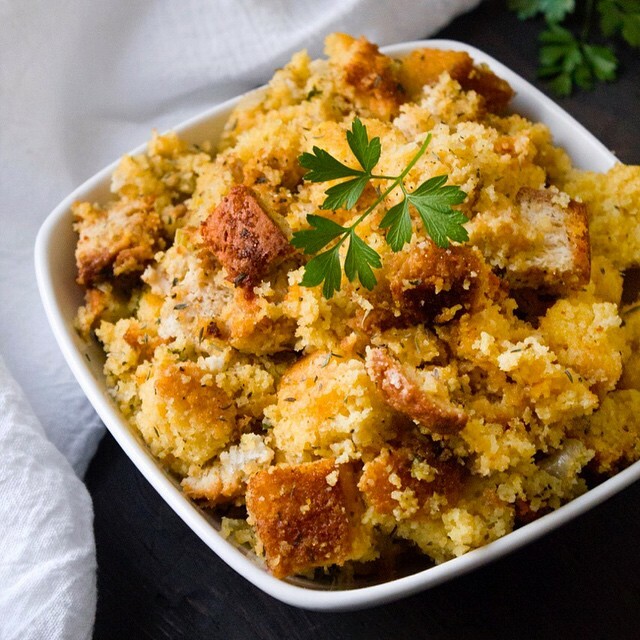 Try this slow-cooker cornbread stuffing. Just toss all of the ingredients in your slow-cooker in the morning and you’ll have warm stuffing ready to serve come dinner time. Feedfeed Tip: Make your homemade cornbread and stash it in the freezer. Let it thaw overnight on the counter on Thanksgiving eve before assembling the stuffing in your slow cooker on Thanksgiving day. 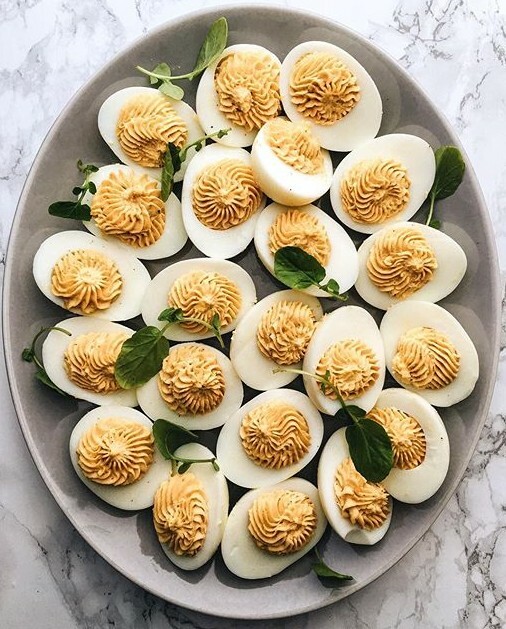 It wouldn’t be a holiday in the south (or anywhere is our book) without a platter of deviled eggs. We love how Dale uses a touch of whole grain mustard and buttermilk in the yolk mixture. Feedfeed Tip: Cook and peel the eggs today and store them in a bowl of cold water until you assemble them Thanksgiving day. 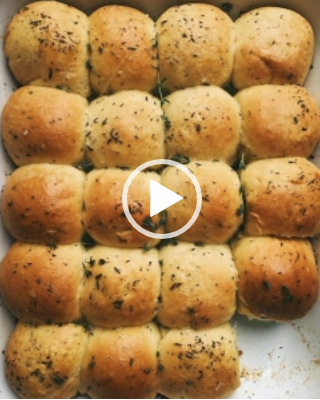 You’ll need a batch of these buttery rolls to sop up all of the delicious flavors from your Southern Thanksgiving feast! Feedfeed Tip: You can make this dough ahead and let it rise overnight in the fridge before baking them on Thanksgiving day. 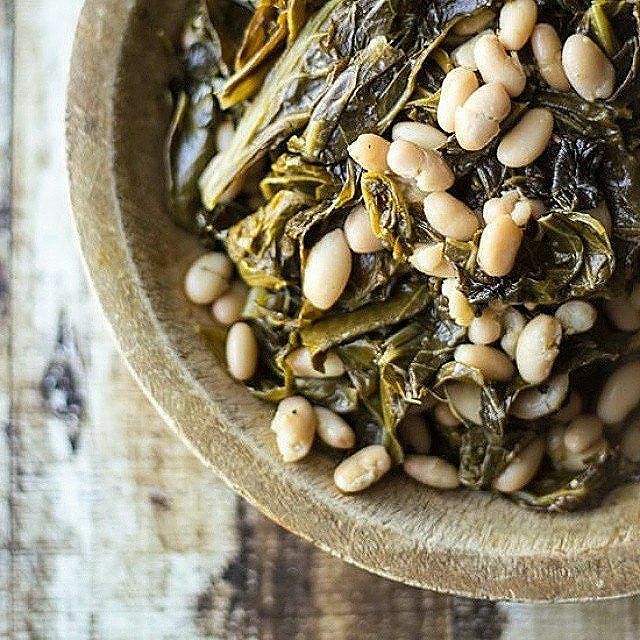 We love this lightened up take on classic collard greens. The greens are cooked with a bit of apple cider vinegar and a pinch of red pepper flakes for a little kick. The meal would not be complete without a little bourbon. 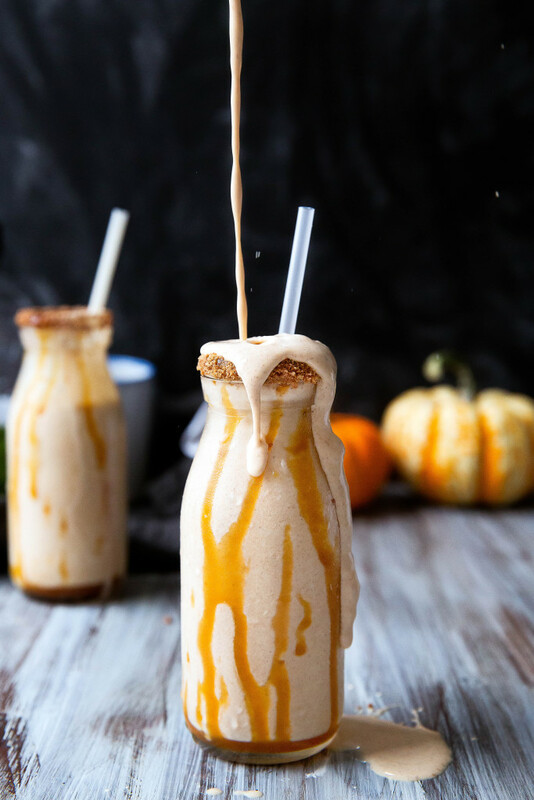 Break these boozy milkshakes out with the dessert course and guests won’t want to leave! 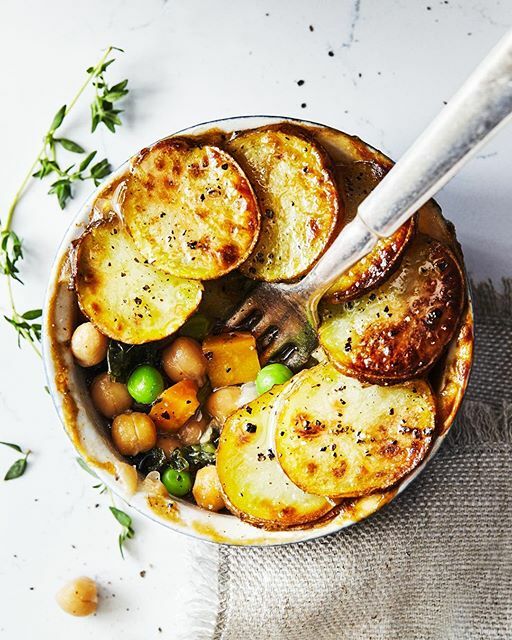 A riff on the classic, these veggie-packed pot pies are topped with potato slices instead of the traditional pie dough. Feedfeed Tip: Be sure to slice the potatoes very thinly so they cook all the way through. The star of the show! Wrapping your bird in bacon almost guarantees juicy, flavorful meat! This recipe calls for roasting just a turkey breast so if you are expecting a large crowd, you may need to roast two or three. Need more Turkey Tips? Click here.